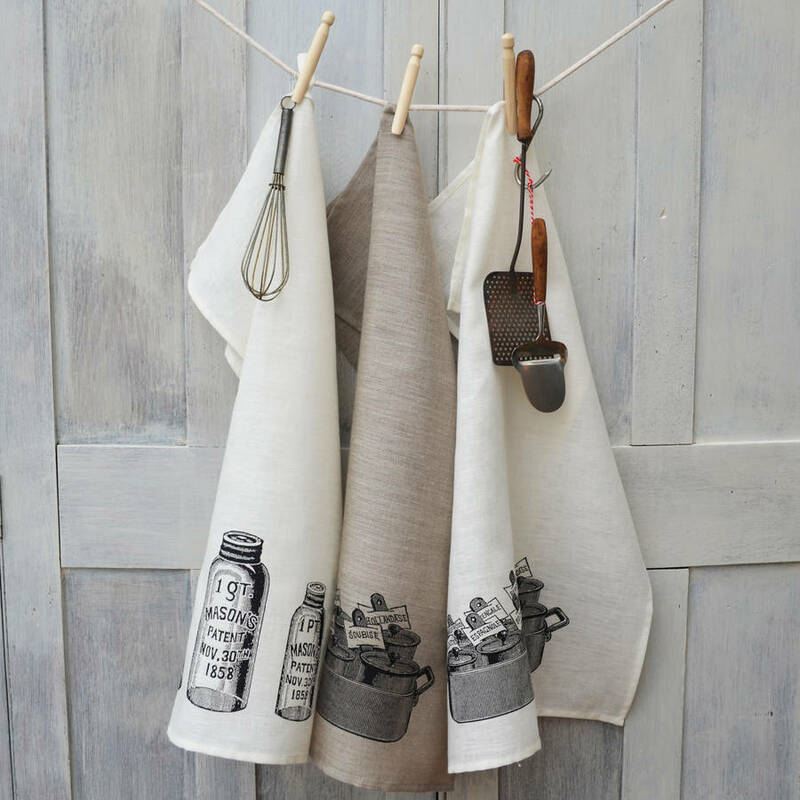 A stylish and lovely collection of linen tea towels designs inspired by ‘Vintage Kitchenalia’ and ‘Retro Homewares’. 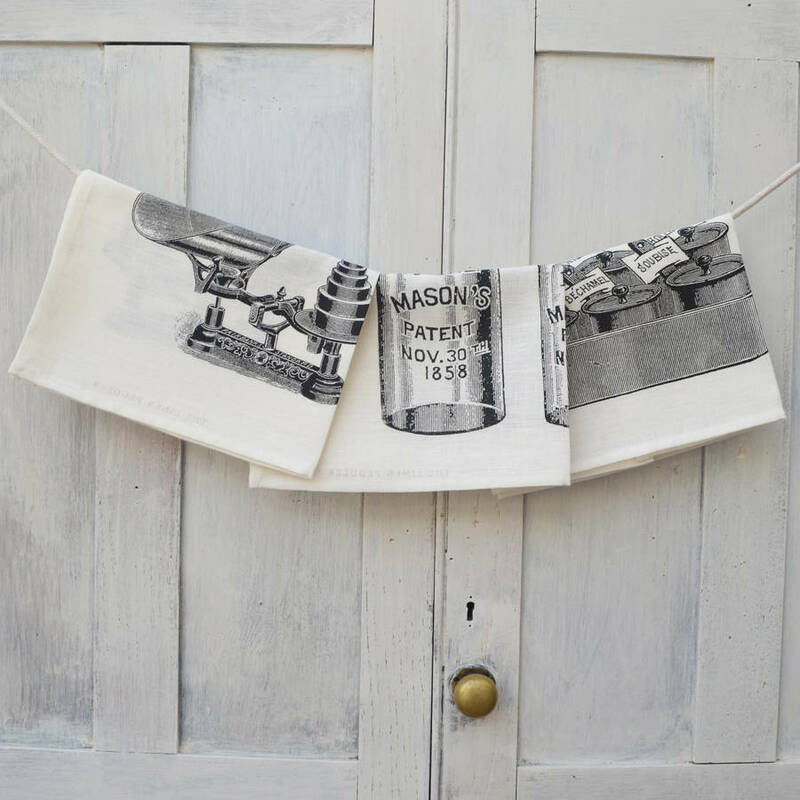 Hand-printed images of everyday classics including rolling pins, food mincers, weighing scales, coal pales, bottles and brooms, harping back to the bygone days when kitchens and gardens were the domain of home-baking, preserving and growing your own. 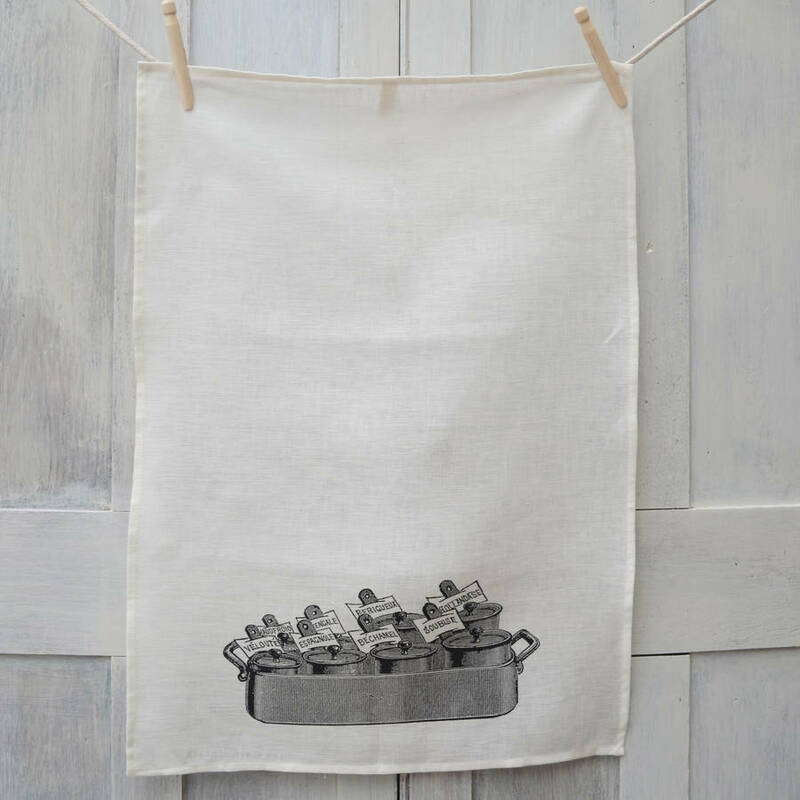 These 100% linen tea towels transport you back to a simpler era of homeliness and tradition. Their neutral colours, pure fabric and simple design and styling make them timeless and functional. 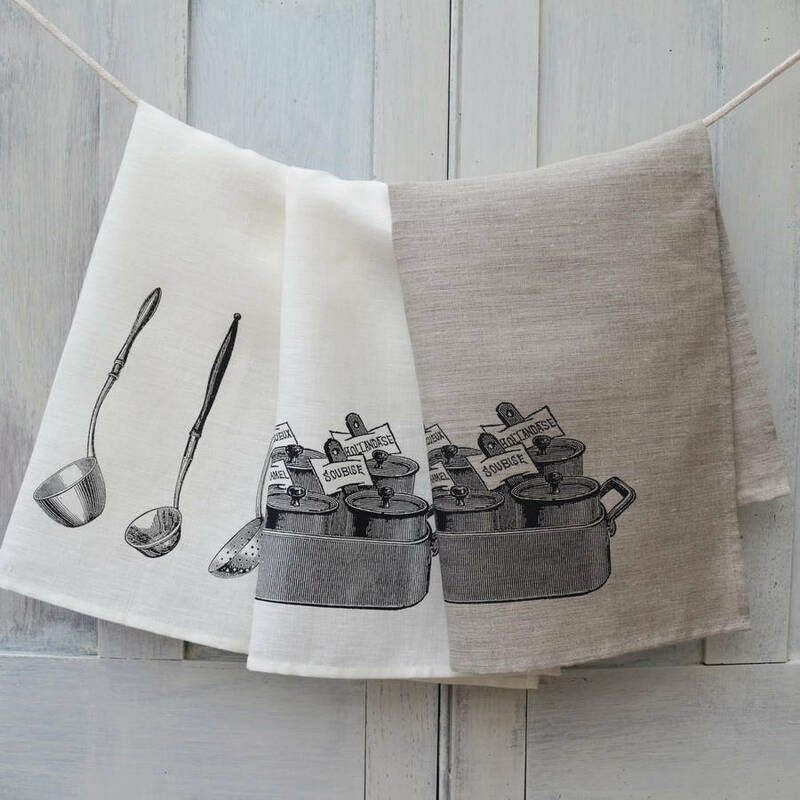 These nostalgic pieces would look superb hanging around in your kitchen. A great gift for a vintage enthusiast of cooking or washing up age!!!. Or simply a wonderful present for family, friends or lovers on any occasion. 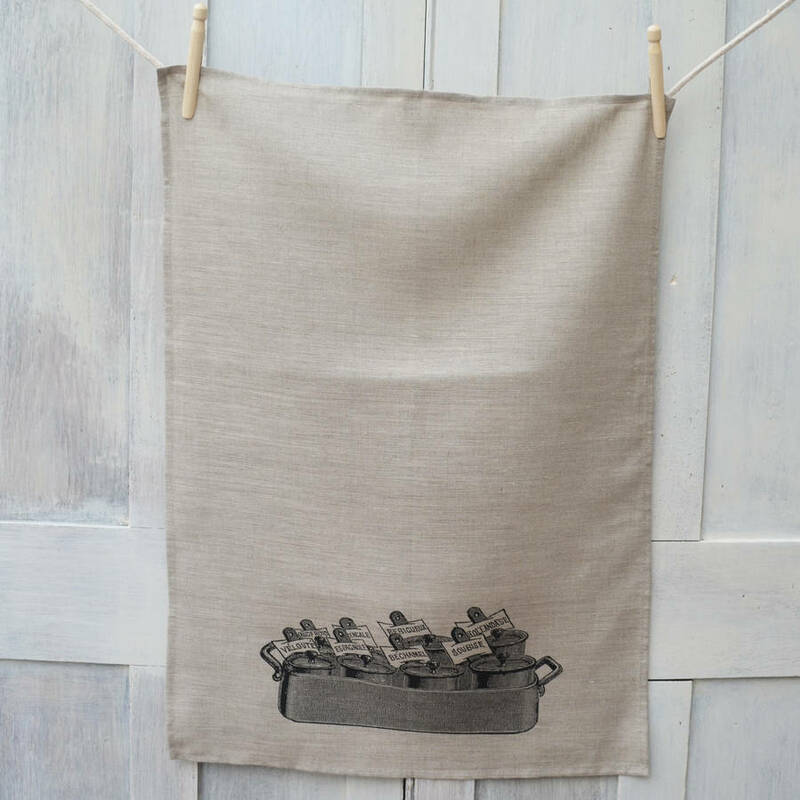 Available in either natural linen colour or cream. Hand printed design in black only. 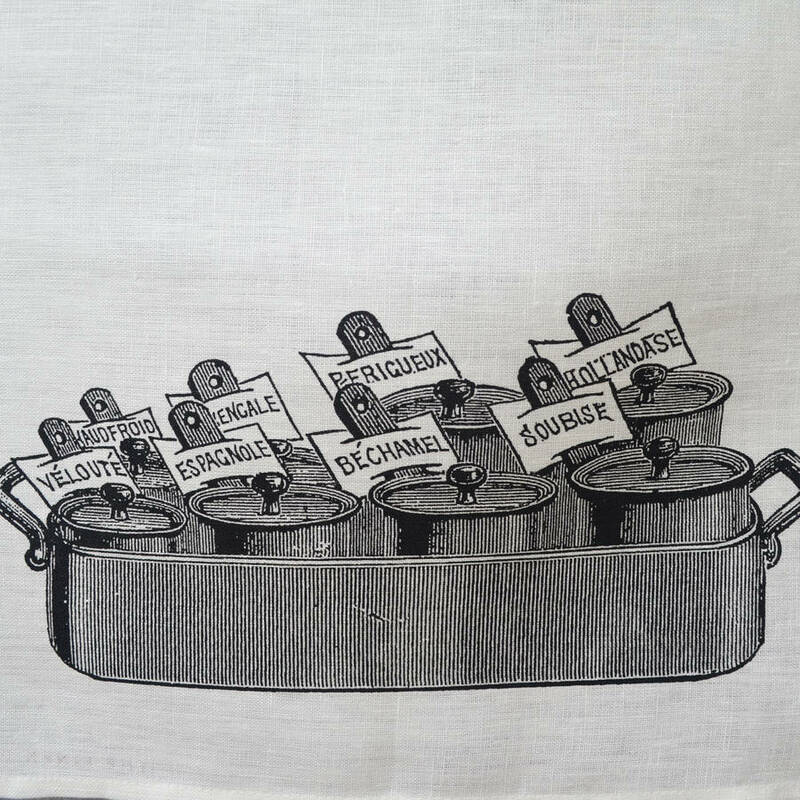 They are all individually screen printed by myself in my studio in south London- UK onto to very good quality 100% linen. 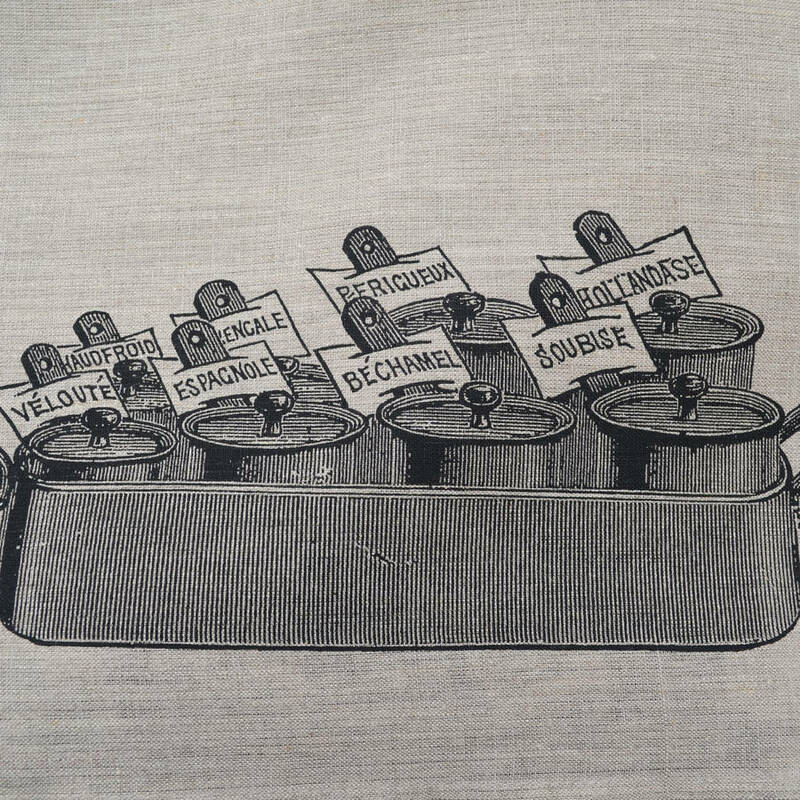 They are hemmed on all four sides and come with a handy hanging loop at the top in the centre. They have been tested on a 40 degree wash in a washing machine and there was a tiny amount of shrinkage on the first wash (this is to be expected with pure linen) The print does not wash out as they are printed with professional water based printing inks.